Transparency is a word we often hear in the PR industry, particularly as it relates to corporate reputation. But in the days surrounding Hurricane Sandy many of the communications executives at public utilities and transportation providers in New York and New Jersey gave us a stellar example of the meaning of the word transparency. As a lifelong New Yorker I can't remember a better effort on behalf of entities such as the MTA and Con Edison to keep the public informed, but equally important, to be quite upfront about the challenges they were facing. The public, understandably very concerned about their ability to get to work, can sometimes glaze over the fact that it is equally difficult for repair workers to get to their jobs. But the effort to get the MTA back on track so that the public could get up and running was a topic covered during interviews with officials on many newscasts. Also very important was the fact that the efforts toward recovery were given a timeline. From the earliest point, expectations were managed: this was not going to be a quick fix. Utilities were clear on what elements of this storm made things more difficult. Salt water is damaging to electrical equipment. I wasn't overloaded with hard-to-understand technical details - an often-made mistake in the comms and PR world - but I understood why efforts toward a return to services would be complicated. There is a pecking order even in a crisis. The reality is the storm surge produced a deluge of issues that had to be addressed that can't all happen at once. Power company officials were pretty upfront about their priorities - an area with 6,000 people out of power took priority over an area with 600. There was no rosy spin on it. Honest communications enabled consumers to make better decisions about how to navigate the difficult days ahead. As I write this three weeks after the storm I am sure there are about 120,000 people still without power who will not agree with me, but at the height of Sandy millions of people were affected. Not every organization was up to the comms challenge as the Long Island Power Authority showed. Blaming a faulty outdated information technology system made no sense, especially in this age of social media. In the months ahead as areas rebuild, the flow of information remains critical and support for customers and communities vital. 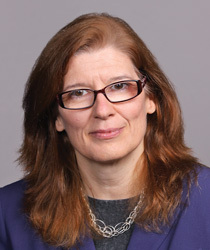 Bernadette Casey is the senior editor of PRWeek. She can be contacted at bernadette.casey@prweek.com.